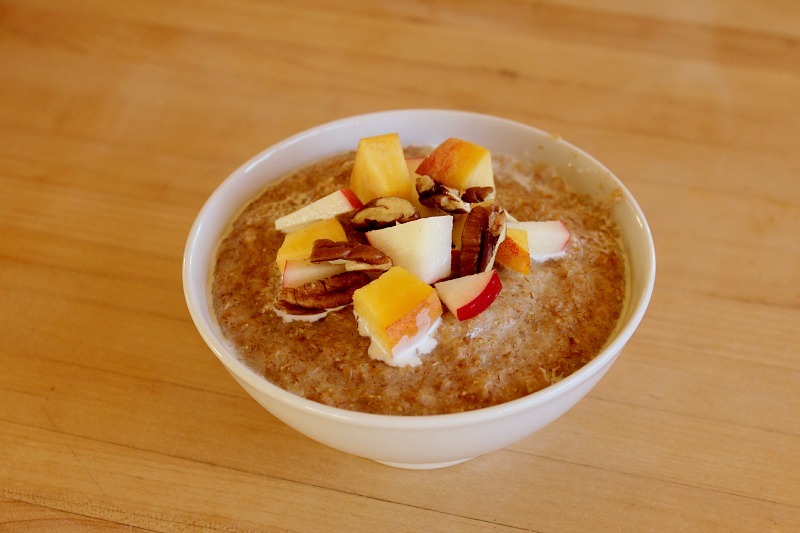 A delicious hot cereal that can be enjoyed with your favorite nuts, fruit, or an organic fruit syrup! On stovetop add 1 cup of cracked farro porridge and a pinch of salt* to 3 cups of water. Bring to boil, then simmer on low while stirring frequently until water is absorbed and bubbles appear (15 min).